When Vinita Singhania was approached by her brother-in-law to take over her late husband’s cement business, the Indian housewife was understandably a little apprehensive. It wasn’t so much the challenge of conducting business that daunted her – she came from a business family and held a degree. It was inheriting a job because of her Singhania name. The name is associated with the Singhania dynasty – the founders of the industrial conglomerate JK Organisation. 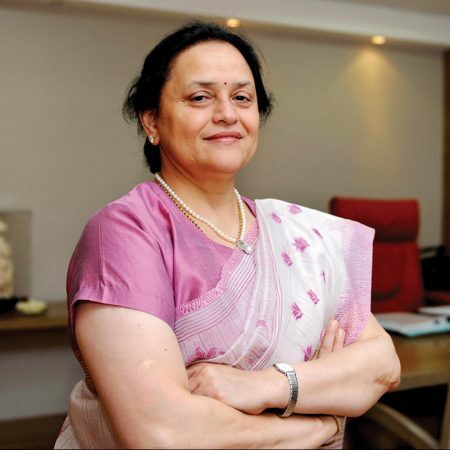 Nearly three decades later, the Vice-Chairman and Managing Director of JK Lakshmi Cement (JKLC) is no longer regarded as Sripati Singhania’s wife; instead she is renowned throughout the industry for being the first female president of the Cement Manufacturers Association, and the woman who trebled the company’s capacity from 0.5 million tonnes to 1.5 million in just three years. Today, going from strength to strength, production is expected to reach 13 million tonnes, a phenomenal achievement that Vinita is quick to attribute to her one overwhelming obsession. “I am obsessed by the customer,” she says. “Absolutely obsessed with customer satisfaction. That is our top priority at JK Lakshmi. We like our customers to feel proud and know that our brand is top notch. It’s why we have managed to keep so many of them with us since our inception 35 years ago. They have stayed with us all these years because of the very strong core values we practise throughout our organisation. I am obsessed by the customer. Absolutely obsessed with customer satisfaction. JK Lakshmi Cement launched in 1982 in Sirohi, Rajasthan, as an affiliate to the JK Organisation founded more than a century ago by the late Lala Kamlapat Singhania. It is now operating state-of-the-art production facilities scattered across India, with locations including Durg, Chhattisgarh; Kalol, Gujarat; Jharli, Haryana; and the newly reopened Udaipur plant, Rajasthan – a relaunch after 14 years of closure. The company has a network of 70 cement dumps and more than 2,200 dealers. It’s a trailblazer in innovation, and became the first cement manufacturer in north India to introduce colour bags to promote its product. It was also among the first cement companies to have a profile on social media and enter into ecommerce, through a strategic partnership with Snapdeal. Vinita credits Sripati’s brother, the late Hari Shankar Singhania and former president of the JK Organisation, with pulling her through her harsh early days at JKLC. Still crippled by grief, and after spending 16 years keeping house, she walked into the company’s offices to face a male-dominated domain where women didn’t really fit. Often patronised or viewed with suspicion, she immediately understood her first challenge was to win over her employees. Hari Shankar Singhania, a benevolent father figure, encouraged and convinced her that running a business was little different from running a household. Looking back on those tough first years, Vinita says it was a core group of colleagues who infused her with the strength to continue and prove to everyone else she was there to stay, despite the ups and downs of a cyclical industry. Vinita also concedes that a feminine touch in a man’s world doesn’t go astray, and recognises the differences between the sexes are advantageous to business dealings. “Women have a way of approaching things differently, with an element of compassion. This approach succeeds well at work and in life. It builds relationships,” she explains. Leading a company in a fickle industry, often dependent on the whim of the economy, government infrastructure projects and housing demand, Vinita is adamant that JKLC becomes a service and a solution provider rather than just a manufacturer. Her determination extends to her suppliers, whom she regards as part of the family. Reliance, NTPC, Essar and Airports Authority of India are among the partnerships the company enjoys and cultivates. “We try to innovate and constantly outpace the competition, and our strong relationships with suppliers support that,” she says. “We encourage a one-on-one relationship with our suppliers and give them all the support we can. They are integrated into our system, from when a project starts right to the very end. We’re completely transparent, providing them with a lot of information and conducting awareness programs with them, rather than dictating terms. We become one. Anyone coming into contact with us, whether it’s a supplier, vendor, transporter or customer, they become family. This is our philosophy. Anyone coming into contact with us, whether it’s a supplier, vendor, transporter or customer, they become family. This year, due to an increased demand from infrastructure projects and the housing sector, the company is targeting double-digit growth. It is also expecting production of its value-added products – ready-made concrete, autoclaved aerated concrete blocks and plaster of Paris – to increase. 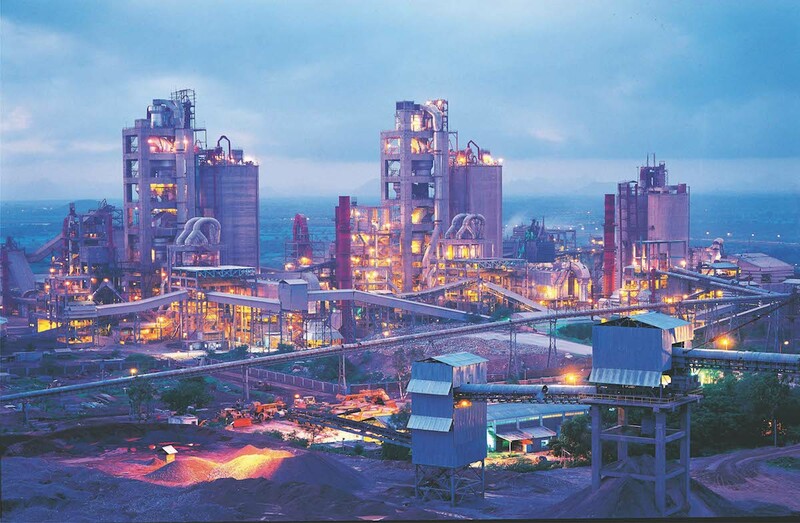 Last year, JK Lakshmi generated around 7 million tonnes of cement; however, with the commissioning of the revamped plant at Udaipur, in which the company holds around a 75% stake, total capacity has increased to 13 million tonnes. JKLC has always maintained a strong corporate social responsibility to the community, with passionate commitments to a myriad of organisations in the surrounding villages of its core manufacturing areas. The company is passionate about transforming lives and has strong ties with village development committees, village heads and mayors, as well as with school principals and commerce leaders. Among its responsibilities is a pledge to transform Sirohi’s Industrial Training Institute into a centre of excellence, and it has contributed to a 100% placement of graduating candidates into various industries. Furthermore, JKLC has provided teachers for Hindi, English, and mathematics and science lessons to schools in the nearby villages of the Durg site, and it has sponsored students to help them excel in the study of medical courses. JKLC’s Adult Literacy Project, launched in 2004, has educated around 4,300 individuals, predominantly tribal women – empowering them not only to read and write but also to learn trades. Sewing machines have been provided to help village women learn to sew and stitch clothes and school uniforms. Self-help groups in 8 villages around Durg have assisted women in generating an income through stitching and embroidery – making brooms, mats, paper plates and cushions. Furthermore, JKLC has assisted local farmers with the distribution of fruit and vegetable seeds while also educating them about water and pest management and agrochemical selection and usage. With JKLC behind some of India’s most impressive structures, including Indira Gandhi Nahar Pariyojna, Sardar Sarovar Project, Golden Quadrilateral, Mundra and Kandla Ports, the company is continuing to make its mark on housing projects, roads and bridges, airports and factories. Feeling the need to evolve the traditional red bricks, JK Lakshmi introduced ‘JKSmartBlox’ – autoclaved aerated concrete blocks. This ‘green’ product is manufactured from fly ash, a waste product, using world-class German technology. They weigh less, are larger than traditional bricks, and are easier to lay, with their unique tongue-and-groove feature enabling projects to be finished more quickly. of water and Portland cement. Portland cement is not a brand name, but the generic term for cement used in virtually all concrete. It makes up 10% to 15% of the mix, and through hydration hardens into a rock-like mass, forming the concrete. Cement materials were used widely in the ancient world. The Babylonians and ancient Egyptians mixed lime, clay and water, or lime, gypsum and water, to make concrete and mortar to build structures, including the Great Pyramid of Giza, built around 4,500 years ago. The Romans provided the first major advance in this technology, discovering that lime and water, mixed with a type of volcanic sand found near Mount Vesuvius, produced a strong cement. This was combined with pumice and other aggregates to produce the concrete for aqueducts, harbours and buildings, including the Colosseum in Rome.